A man jumped or fell into the pool from an unknown height earlier this afternoon. This is a roundup of all the breaking news from around the Las Vegas valley for July 10, 2018. The Cosmopolitan of Las Vegas released a statement about the incident at the pool. 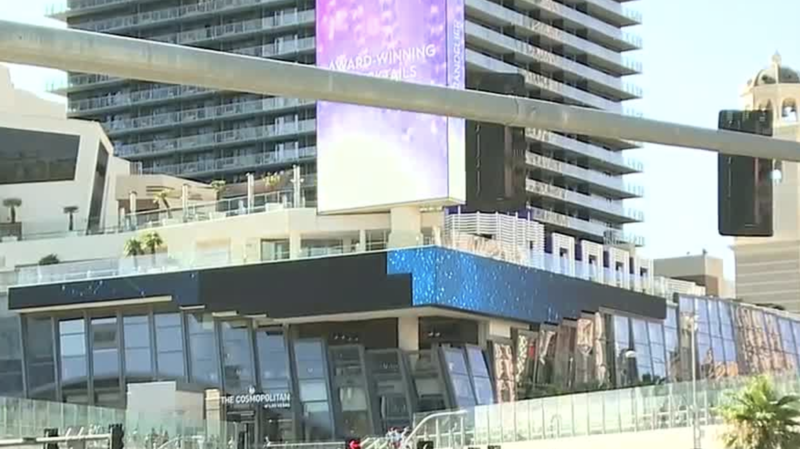 A pool is closed at The Cosmopolitan hotel-casino after a man jumped or fell into the pool from an unknown height around 2:10 p.m. The man died on scene. Police are determining whether this incident was a suicide. Police did not specify which pool it was. Clark County firefighters were able to rescue a man trapped in a flooded wash in the 800 block of East Flamingo Road near Swenson Street on July 9. At 10:12 p.m. crews were able to use ground ladders, and ropes to rescue the person from the flood channel.